Earlier this week, Israeli Prime Minister Benjamin Netanyahu spoke to the United Nations and spoke out boldly about the Iran nuclear deal that has recently been put into motion. While the rest of the world seems to be in agreement that this nuclear deal is a step in the right direction, Israel and its people are being put in clear and present danger because a nuclear Iran poses an immediate and gravely concerning threat to the very existence of Israel as a nation. During this speech, Benjamin Netanyahu expertly proved one of his points on the subject in the most amazing and effective ways I have ever seen. Immediately after calling out the most powerful nations in the world on their silence towards the open hostility and outright threats that have been issued about Israel and its people, he stands silently in front of them for 44 seconds. You can see it in his eyes, as he looks over the crowd of diplomats before him and nods his head a few times – he, and Israel, are standing alone. But, this is nothing new when it comes to Israel as a people. Throughout its history, Israel and its people have constantly been under attack. Israel and its people have faced enemies hellbent on annihilating it more times than any other nation on the face of the earth – and they have persevered because God Himself protects them and ensures that they remain a strong, passionate, and faithful people for Him. It is my belief that this very fact is why Israel is constantly under attack. 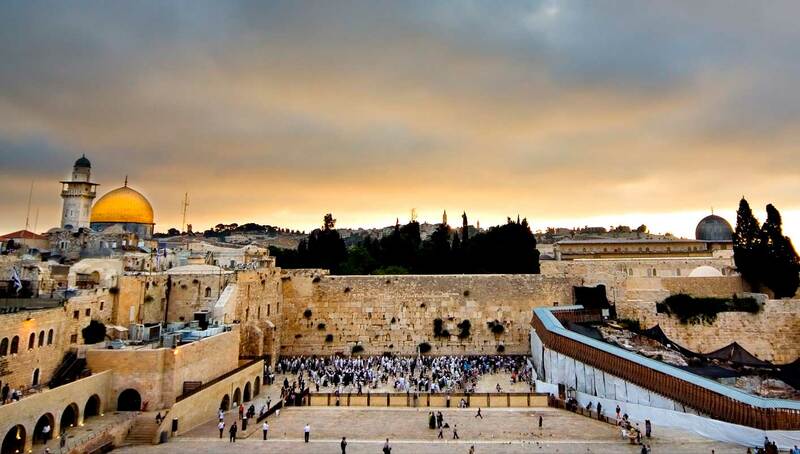 Israel is the constant reminder that God does exist, that He works miracles and protects those who keep to His commands and seek Him out in their lives – and it also serves as a constant reminder to the rest of the world that the quest for power and complete control is futile. There is only one who controls all things. God. If you have not seen the entire speech that Benjamin Netanyahu gave to the United Nations, I encourage everyone to do so. This is the voice of a true and determined leader of his nation. Not the political strawman we currently have in the United States White House. You can view the entire speech, here. Last year, Israel went on the offensive against terrorism in its nation by systematically destroying tunneling systems that were being created and used to complete terrorist activities in its country – bombings, murders, abductions, and many other incidents. During this time, Hezbollah, Hamas, and other Islamic terrorist organizations (funded and supported by Iran and its political figures) openly attacked Israel by constantly bombarding it with rockets, mines, and other deadly attacks. While Israel was carefully targeting Islamic terrorists bent on murder and destruction, Israel carefully eliminated the threats. Some could say they were downright surgical in their efforts. But, because Islamic terrorist militants are cowardly and without moral understanding, their approach to warfare is firing weapons from a distance and then hiding among innocent people. Israel issued several warnings to the people, advising them that an increased Israeli military response was going to be happening – and instead of heeding these warnings, many people stayed. Either out of loyalty to the Islamic terrorists who were being targeted, or because the Islamic terrorists were holding them hostage and using the innocent lives of the people around them as a form of cushion so that they would be killed instead of the terrorists. Either way, Israel acted with an amazing showcase of military organization, skill, and resolve. There were, unfortunately, innocent lives that were lost during this struggle – but the accountability for those lives lies strictly with the Islamic terrorists who insisted on using innocent lives to hide behind as they performed their acts of terrorism on the Nation of Israel. Of course, all you ever saw on the news and in the United Nations was people calling for Israel to be held accountable and charged with war crimes. It seemed like everyone at the time was against Israel – including a vast majority of the voices from the United States. Israel acted to defend itself, and did so because no one else was offering any sort of support in the matter, and yet, the world seemed to put them on trial for protecting itself, its citizens, and its right to exist. The world seemed to side with the Palestinians – the very people who have sworn to wipe Israel off the face of the earth time and time again. I am not suggesting that all Palestinians are anti-Semitic and wish to kill the Jewish people – but what I am saying is that their religion, Islam, suggests that anyone who is not of the Islamic faith should be killed. Here are just a few of the versus that clearly state any people who is not a follower of Islam should be hunted down and killed. Yet, Islam is a religion of peace and understanding – right? There are at least 109 separate verses in the Quran that state Muslims are to create war with the non-believers of their religion – some even go into great detail on how that should be accomplished. Cutting off of head, cutting off of fingers, and killing infidels wherever they are found. Infidels being anyone who does not believe in Allah and the Quran. This is the foundation of the Islamic religion. Not peace and understanding – but murder and genocide. This is the threat that Israel faces each and every day – from ALL around it. The constant threat of being murdered, imprisoned, tortured, and even the blatant words of Iranian leadership stating that “they will wipe Israel off the face of the earth” and “Israel will not exist within the next 25 years”. The solution to this is simple. Israel has always desired peace and has worked to achieve it many, many times with Iranian and Palestinian leadership. There is only one big problem that keeps these talks from bearing any fruit. Dennis Prager presented an absolutely fantastic video sharing this problem and it is spot on accurate. Overall, the political rhetoric seems to be largely anti-Semitic, and this is only going to get worse. Israel has been through this before, and not all that long ago. In 1933 Hitler began his approach to systematically annihilate the Jewish people from the face of the earth – killing over 6 million of them before the world was able to stop him. Do we really need another Holocaust to happen before the world wakes up and realizes what it has done? Unfortunately, I don’t think the world will stop itself this time and it will be up to God and Jesus Christ to stop things before they destroy everything. I stand with Israel. And, as I stated previously, I believe things in this world are moving quickly ahead to the time of Tribulation. We will see things get worse before they get better – but know that God is in control and He will see things made right. Along for the ride? Enter your email address to follow this blog and receive notifications of new posts by email. Each month, a random email address will be chosen and I will be giving away a free piece of advice! It's like going to a Chinese food restaurant but better because you won't be hungry an hour later and the advice is just as random!